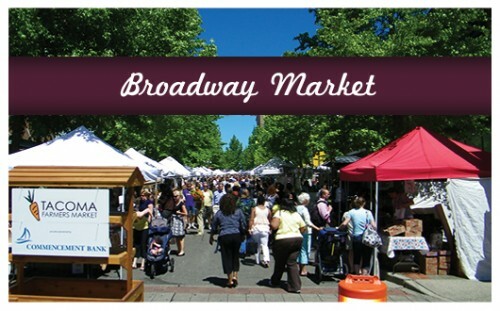 May 2, 10 a.m.-3 p.m. at S. 9th and Broadway, Tacoma. May 7, 3-7 p.m. 6th and Pine, Tacoma. May 11, noon-6 p.m. at Uptown Gig Harbor. 21+. Tickets $20/advance, $25/at the door. Buy tickets here. May 4th, 2-4 p.m. Mole, the Savory Sauces of Mexico. $65 per person, includes recipes and instruction, lunch with a glass of wine, tax and gratuity. Call Jacqueline at 383.7000 to purchase tickets. May 18, 2-4 p.m. The Cuisine of Southern France. $65 per person, includes recipes and instruction, lunch with a glass of wine, tax and gratuity. Call Jacqueline at 253-383-7000 to purchase tickets. May 7, 6-8:30 p.m. Cooking with Chef Amadeus. Learn to make stuffed mushrooms, kale salad, lamb chops, currry-crusted risotto with chard and more. $65 per person. Call 360-754-1448 to reserve. May 8, 6-8:30 p.m. From India, With Love. Learn to make vegetable pakoras, parantha, raita, cilantro chutney and more. $45 per person. Call 360-754-1448 to reserve. May 14, 6-8:30 p.m. Light Seasonal Italian Pastas. Orchiette with asparagus and vegetables, penne with mussels and clams, fresh fettucine with leeks and pancetta and more. $45 per person. Call 360-754-1448 to reserve. May 21, 6-8:30 p.m. German cooking. Learn to cook a variety of authentic German dishes. $45 per person. Call 360-754-1448 to reserve. May 23, 6-8:30 p.m. Northwest Vegetarian. Fire-roasted tomato bread pudding, garlicky spring greens and more. $60 per person. Call 360-754-1448 to reserve. May 29, 6-8:30 p.m., Cook with Jennifer Nelson of Basilico Ristorante Italiano. Calamari affogati, Pacific wild cod, sauteed fresh spinach and more. $65 per person. Call 360-754-1448 to reserve. May 30, 6-8:30 p.m. A Taste of the Tropics. Chipotle bacon guacamole, mango-black bean salsa, Caribbean spiced pork tenderloin, roasted banana and macadamia cheesecake and more. $45 per person. Call 360-754-1448 to reserve. May 19, 4:30 p.m. An Italian Spring Cooking Class. The fresh flavors of spring comprise this 4-course exhibition style cooking class and dinner. Recipes, instruction and wine samples also included. $60 per person, includes tax & gratuity. Call 253-864-8600. May 11, 6:30 p.m. An opportunity to taste for yourself a vertical of great barolo and explore the differences and nuances when paired with traditional favorite dishes, including antipasta, fonduta, risotta ai funghi porcini, braised beef and more. $100 per person, not including tax and gratuity. Call 253-530-3463 to reserve.